Welcome to the King’sBridge first annual Fourth of July Celebration. 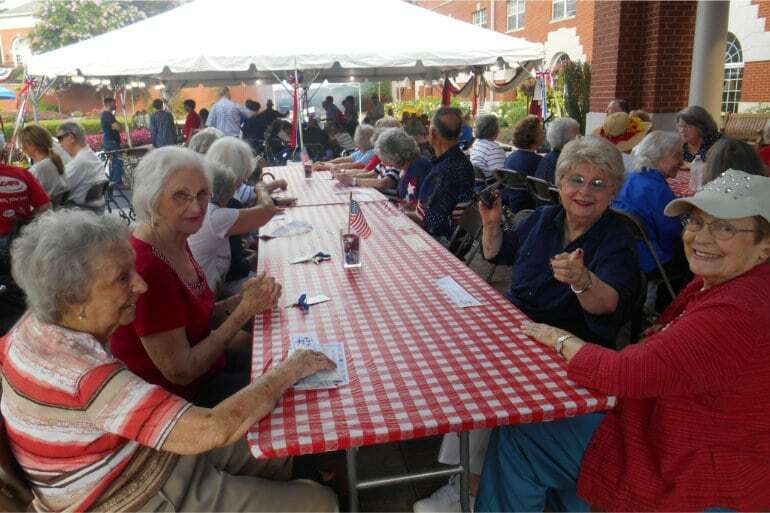 Our residents and their guest joined us in the front circle for food, fellowship and a sunset fireworks extravaganza! We had tents and misting machines to keep things cool while they dined and made requests to our DJ of their favorite songs before the hot show began at sundown. Our dining room staff served everyone’s favorite BBQ items from ribs, chicken, hamburgers, hot dogs and even fried green beans. Everyone and everything was all decked out in red, white and blue.